Chris Roberts and Joel Ewusiak from Ewusiak & Roberts asked the P3 Agency to help them develop a brand image, supporting print collateral and a website for their new partnership. 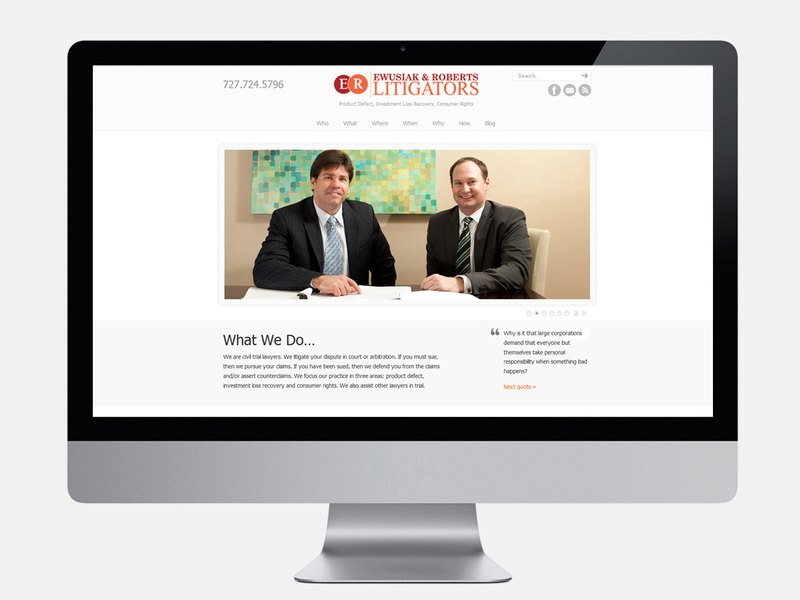 They wanted something that wasn’t as stuffy and conventional as many law firm sites out there. 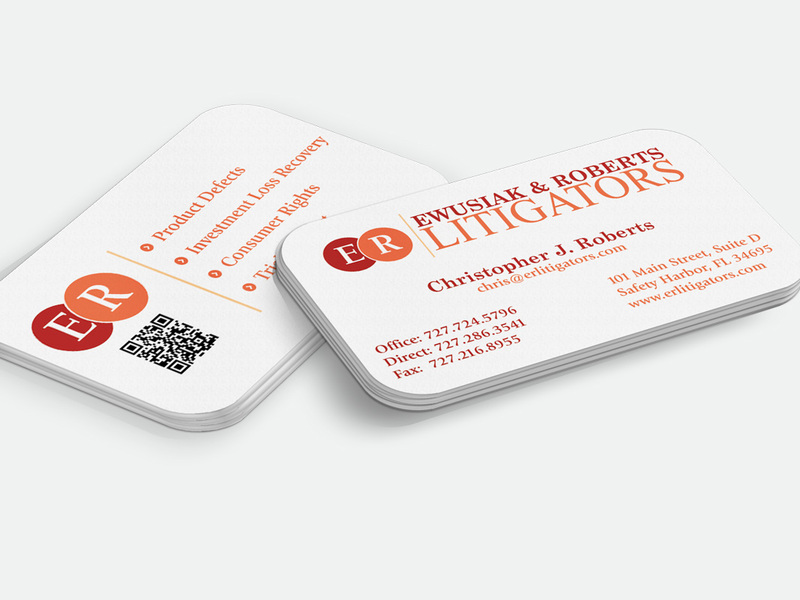 They also wanted their business cards to stand out in a crowd, so we settled on a heavy stock, silk card with rounded corners and spot-UV to accentuate the new ER Litigators Logo.